This egg drop activity kit challenges students to create a device that can protect an egg when dropped from an elevated position. The essential pieces foam square, rubber bands, and plastic support rods are provided, it's up to the young scientists to determine the best materials to use in order to protect their egg. Includes enough materials to begin 6 egg drop devices. 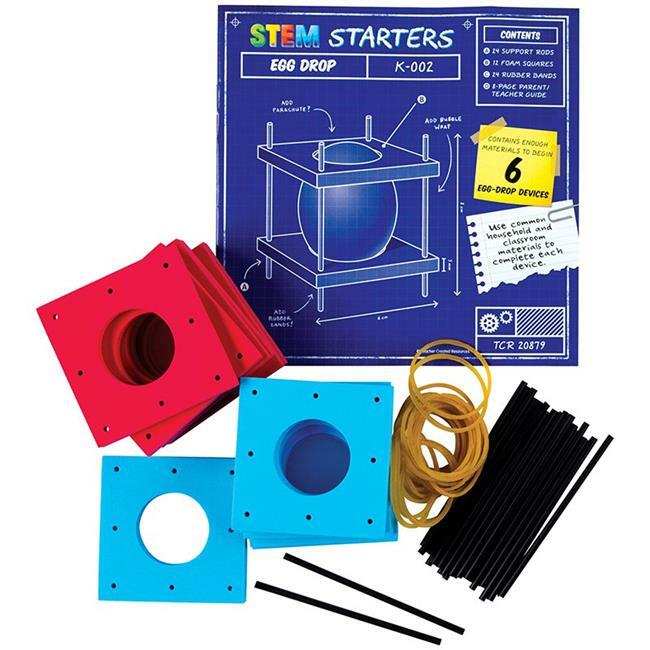 Stem starters provide students with essential tools to complete hands-on projects. When combined with everyday items, these materials can be used to design and execute a project using creative exploration and the engineering design process. By approaching a problem or a challenge with this thought process, children are able to make educated guesses, problem-solve, and learn without the fear of making a mistake. Perfect for individuals or small groups.